For patients who have suffered extensive tooth loss, finding a secure and stable tooth replacement option is of the utmost importance. 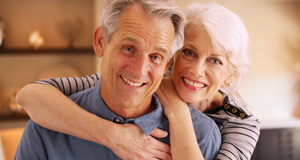 Many adults deal with loose or ill-fitting dentures -- but, for eligible candidates, there is a wonderful solution in implant-retained prosthetics. Dental implants provide a sturdy foundation for an upper or lower denture. 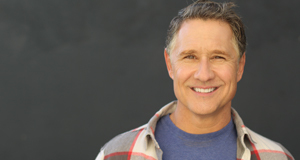 Keep reading to find out how implant-retained dentures work and whether or not you are a good candidate from your implant dentist in Framingham. Traditional dentures rest on the gums and are held in place using natural suction or with the help of a denture adhesive. Many patients struggle to find a denture that fits well enough to help them eat, speak, and smile with ease. Fortunately, dental implants offer a solid alternative that can retain a denture in the upper or lower jaw. Dental implants are the only comprehensive tooth replacement option currently available. Implants are small titanium posts that are surgically placed beneath the gum line, where they replace the missing tooth’s root structure and provide a sturdy foundation for the prosthetic teeth that are affixed on top. An individual implant post is not needed for each missing tooth -- this would be prohibitively expensive and invasive, and it is not really necessary to provide adequate stability. Instead, a full denture can usually be supported on five to eight dental implants, depending on the size of your jaw. A stable fit prevents slippage and oral sores. It is easier to eat a wide variety of nutritious foods with a stable tooth replacement. Implant dentures are more natural-looking than the traditional kind. Whistles and lisps are unlikely to develop with secure dental implants. Dental implants stabilize the jaw bone for better oral and overall health over a lifetime. Implant dentures require fewer replacements, relinings, and adjustments. 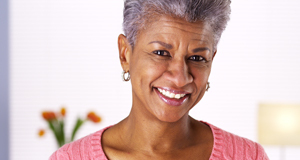 Many adult patients are eligible for dental implants. If your tooth loss is recent or if you have tooth extraction coming up, it is a wonderful time to consider an implant denture. People who are in good oral and overall health can benefit from this comprehensive solution to tooth loss. To learn whether or not you are eligible for dental implants, please do not hesitate to get in touch with our office. We will consider your oral and overall health, your lifestyle, needs, and budget to determine the method of tooth replacement that will suit you best. Because everyone deserves to enjoy all the benefits of a complete, healthy smile! If you are in need of a high quality tooth replacement, we want to help you achieve it! Implant dentures offer a wonderful solution for many patients. You are invited to schedule an appointment with your dentist in Framingham today.